Jodi joined HOYTS in 2013 as the General Manager of People, Performance, and Culture. During that time she’s played an instrumental role in developing and embedding a values-based, high performance culture. In 2014 she, alongside CEO Damian Keogh, expanded her responsibility across the broader HOYTS Group. In 2015, she added customer service to her remit to ensure seamless alignment between our internal and external customers. 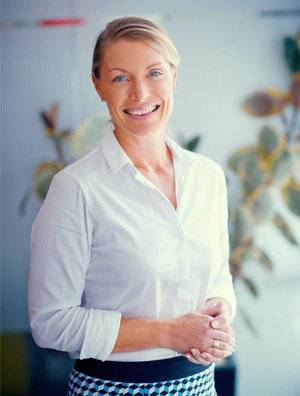 After studying psychology and completing a Masters Degree in Organisational Development, she profressed her Human Resources career at the Australian National University before joining InterContinental Hotels Group, and her most recent to her current role, Jones Lang LaSalle. She is passionate about growing the business and harnessing our greatest asset – our “FIERCE” people – in a high performance culture.